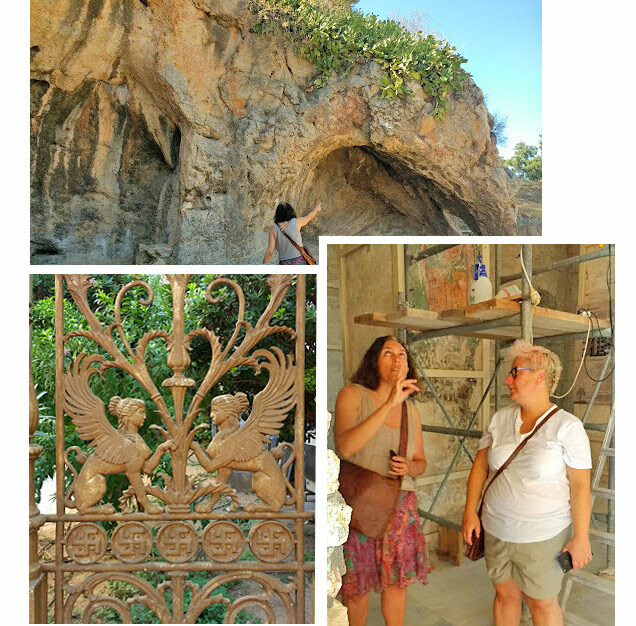 "Loukia gave us the insider's view on Athens secret addresses!" 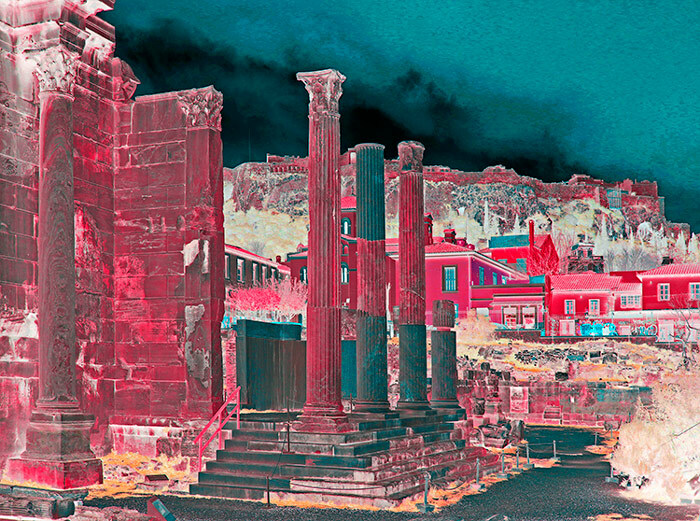 "The way Loukia guides you through Athens is an experience you will never forget. 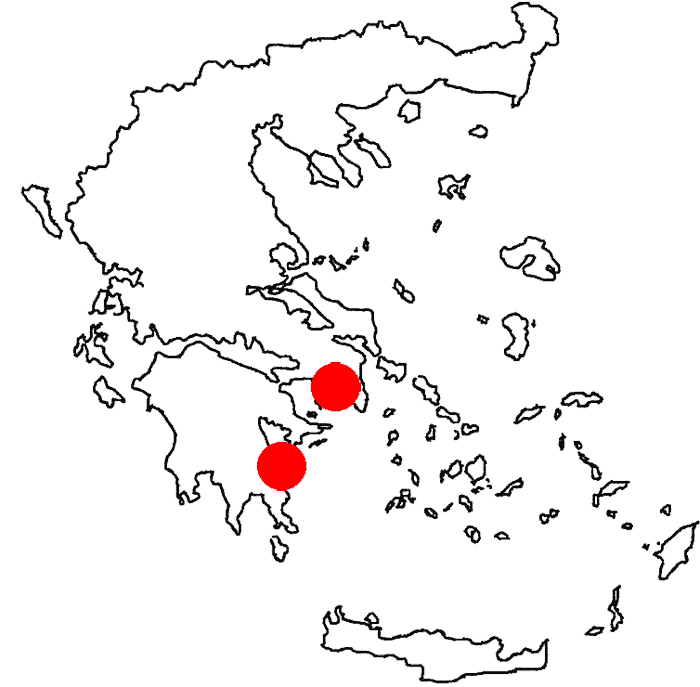 Her tour enriched my knowledge enormously not just on the ancient history of Athens, but also on what is going on right now in various - very diverse - present day neighborhoods. Loukia knows many secret addresses with hidden treasures where you expect them the least; and she also convinces through her spontaneous way of interacting with people the ones who watch over these treasures to show them to you. This is how the guardian of one of the oldest churches of Athens (The Asomati Church by Thisseion-Subway Station) lifted the carpet hidding the entrance to an underground tunnel for us; he also showed us one of the oldest Bibles of Athens; these are things visitors of the Asomati church never see. Ask Loukia any question you may imagine and she will not hesitate a moment to give you the right answer - even if the question is: Which are the best ice cream parlours of Athens?! Her off-the-beaten-track interpretation of Greek mythology was something new to me and I found her input particulary stimulating." Elfe Brandenburger, 57, Berlin. Filmmaker, book seller and film editor. "The purpose of cultivating the self is to return to a mode of existence that is natural, but has been obscured by social conditioning." "The artist residency experience was a very special experience for me. I am enchanted by the way of thinking and the philosophy behind Greek culture, by the history, by the tradition and customs that passed down for hundreds of years, as well as the perspective of the universe. During the AIR lectures, while learning about Greek thought, it often reminded me of the ancient Chinese philosophy too; for example, when speaking of the position of human being and nature. Chinese Taoism also believes that human nature is aligned with the rest of nature; order and harmony are the result. The purpose of cultivating the self is to return to a mode of existence that is natural, but has been obscured by social conditioning. It is always interesting to connect two different cultures and discover there's always something similar in between." Ting Quetzaljo is a jewellery artist from Taipei, Taiwan. 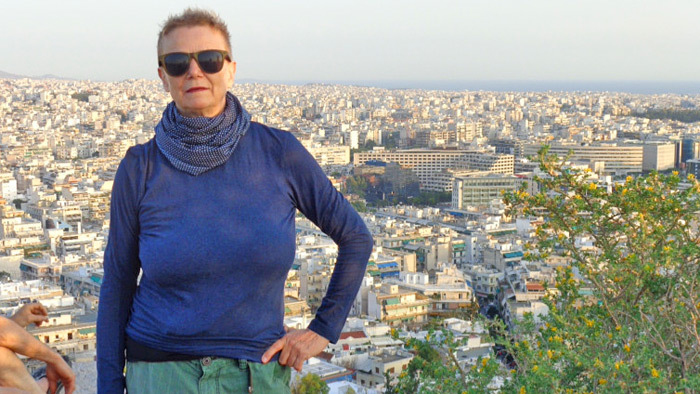 She was our Artist In Residence in Athens in September 2017. "Where would we be if Persephone did not eat the pomegranate seeds Hades gave her? She nevertheless did. This way she had to return to her kidnapper for four months a year despite the hard negotiations of her mother Demeter to fetch her to the upper world. A deal between Gods. What comes up must go down. Rise and fall. No summer without a winter. Does a ring have an upside and a downside? I have always avoided to visit places like Buchenwald, Treblinka, Auschwitz. I believe or I make it up in my mind that I understand the obscenity about these places no better when I see them. The prison of Gestapo in Korai-Street (in down town Athens) is a brutal, desperate place. I should thank the restorators that this place did not look obscene to me. They have restored the graffitis that the prisoners scratched on the prison's grey walls between spring 1944 and the liberation (of Athens) next autumn. My name is ..., I was born on ..., on ... . I am here because I curse the nazis, my neighbors who had denounced me. Portraits of young men, pornographic sketches, scenes of sea battles, wishful thoughts of liberation. Unter layers of color, present but hardly visible, is more writing from the years before 1944. Loukia, Lieta and I decipher: Greek, Italian, German. We are in a hell. There is a time before, this cellar, a time after, we are reading now. Athens by the side of Loukia: The one with the open eyes. May be this is new Berlin, as Christoph says. A laboratory inside which one has to think in a new way and the Past is interfering all the time. This was the right decision to come here and to have the fortune to meet Loukia, Lieta and Christoph. Götz Schauder is a documentary film script writer and film director living in Berlin. 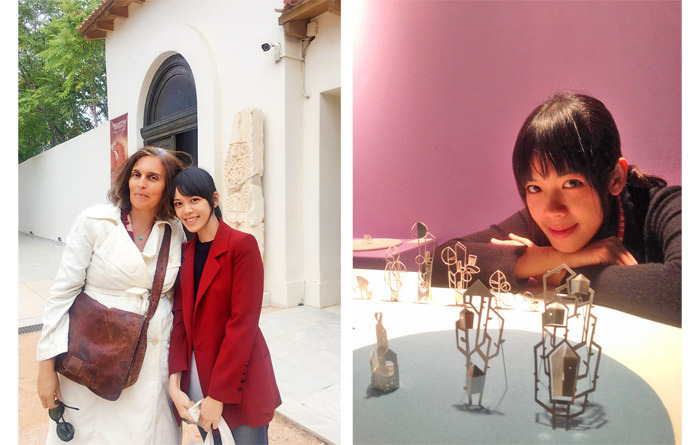 He was our Athens Artist In Residence in September 2017 along with jewellery artist Lieta Marziali ( >>> INITIATION 2017 ). Fotos (Goetz Schauder): H. Schliemann's house "Palace of Troy" in down town Athens. Loukia and Lieta in Daphni monastery. Loukia in the cave of Hades in Eleusina. For more information on our guided tour programme, please go to >>> INDIVIDUAL TOURS!